This blog was first published on July 28, 2012. Last month, I shared my plan for surviving the summer. Included in the plan was two weeks of swimming lessons. We live in a fairly remote area of Montana that is surrounded by lakes and rivers, but no pool. 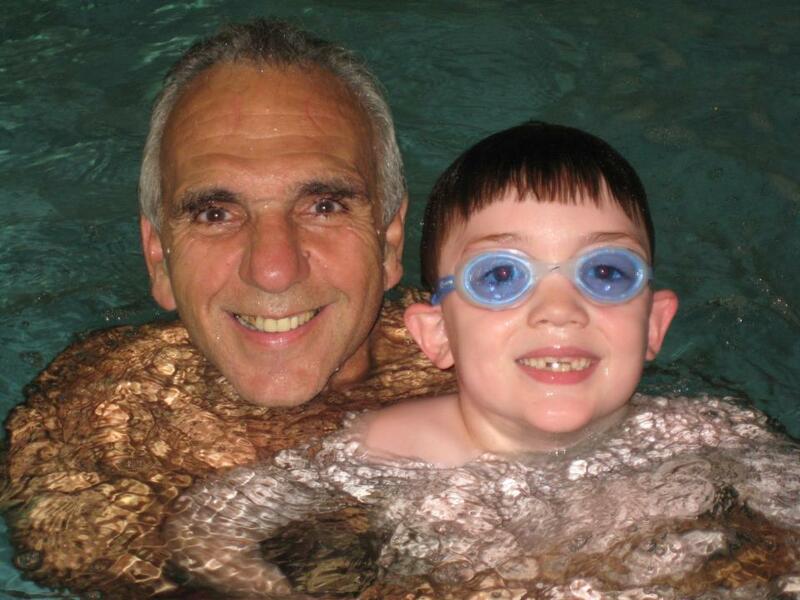 So, while it is critically important for my kids to learn to swim, it has not been easy to accomplish. I drive 60 miles each way every day for their lessons. I told myself that it was only two weeks, and it would at least help them get over their fear of the water. I had no idea that I would basically be scrapping my entire plan to devote this summer to swimming. When I registered the kids for lessons, I envisioned the swimming lessons of my youth: kids sitting on the edge of the pool in a line, shivering with blue lips waiting for a turn in the water. I couldn’t have been more wrong. My kids are in the water the entire time with no more than three kids to one instructor. If they need 1:1 instruction, they get it. After the first two weeks, they made so much progress, I knew we had to keep going. By now, you are probably thinking, “Wow. That’s great Mountain Mama, but what does this have to do with Autism?” Stay with me, folks. I’m getting there. My seven-year-old lost his diagnosis a year ago. I wish I could say he “recovered” a year ago, but the truth is, he is nowhere close. He still has OCD, seizures, motor skill delays, motor planning problems and needs a lot of guidance with social skills. BUT, he is in a regular classroom without a dedicated aide. He is in Scouts. He has peers who, despite his struggles, enjoy his company and consider him a friend. Because he is doing so well, and because the lessons are in a different town with people who don’t know his background and developmental history, I thought I’d see what would happen if I just let him go to lessons without front-loading the instructors. Honestly, I needed to see for myself how far along we really are. I wanted him to have an experience without the giant “A” tied around his neck. We made it about a minute and a half. After the first lesson, one of the instructors approached me and quickly said, “He’s a challenge.” Then she walked away. That was it. Feeling totally defeated, my heart sank to my stomach and my eyes welled with tears. After a few minutes, however, my fighting Mama-bear spirit kicked in and I … was… PISSED! “He’s a challenge.” I thought to myself, “Lady, you think this is a challenge for you? Do you know how hard my son has had to work to get to this point? Do you have any idea what he has had to overcome?” So I did what any good Thinking Mom Revolutionary would do. I marched myself into the director’s office, told her about the comment and explained the situation. I think I said something like, “My son has developmental delays and motor planning problems. He has been in OT for 5 years. If this is going to be too much of a challenge for your instructor, please let me know now so I can make other arrangements and find someone who will be able to accommodate his needs.” I was immediately assured by a lovely man named David who was co-instructing the group that it would be fine, that my son was not a problem. The next day, the woman apologized, said that she understood the situation and could tell within seconds that he had some developmental problems. She then asked me what I could tell her about his needs and learning style so they could teach him effectively. As the weeks passed, my son and David made a real connection. At the end of the third week, David approached me with an offer. He also teaches Tai Chi. He explained that he works with people recovering from strokes and also with kids with Autism. (Keep in mind, I still have not mentioned Autism to anyone involved). He suggested that we start staying after swimming and he would teach the kids a little Tai Chi. I got a huge lump in my throat and my eyes got teary. I expressed to this lovely man how much it means to me when people become invested in my son, can see his potential and want to help him. When your child needs help in so many different areas, it takes more than just one Mom to make him successful. We have been very lucky to have had wonderful therapists and teachers who have been truly invested in my son. We haven’t always agreed on everything, but I have always known that the people who work with him hold him in their hearts and want him to succeed. However, few of those people have ever just volunteered to use their free time to go above and beyond. There is no way David will ever understand how much this gesture meant to me. Autism Moms want so desperately for other people to see all of the wonderful, beautiful things that our children have to offer. We need people to see past the Autism, to see the child that we love. I feel so blessed to have met someone who could truly see the beauty in my child. Even though his developmental differences are still blaringly apparent, I was able to move out of a place of despair, set my disappointment aside and focus on this blessing, this random gift of kindness that has renewed my faith that there ARE good people in the world who want to make a difference. Sometimes when we least expect it, we are given exactly what we need, even when we didn’t know we needed it. Our relationship with David may not continue after this summer, but this brief encounter will hold a place in my heart forever. He is now part of our story. My wish and my prayer is that all of you are blessed with your very own David. And for those readers without kids on the spectrum, I pray that the next time you encounter a child with special needs, you can summon your Inner David and see past the shell of disability to the beautiful soul within. Be a part of someone’s story. For more blogs by Mountain Mama, click here. 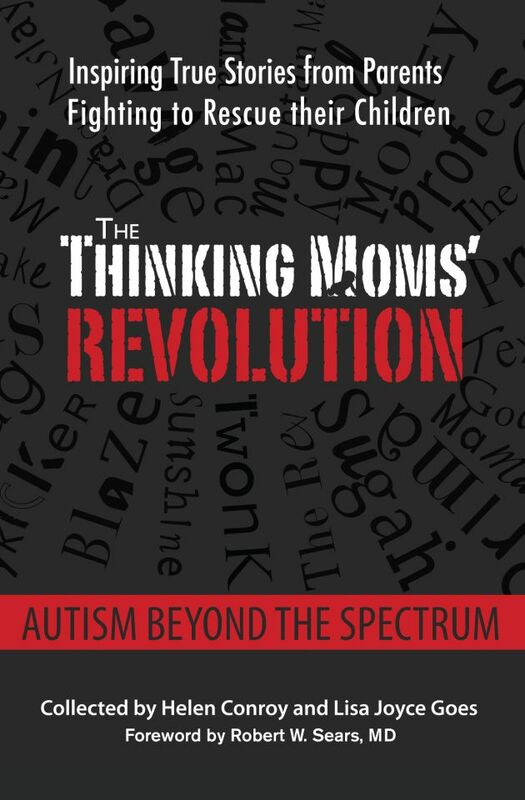 This entry was posted in Blogs by Thinking Moms' Revolution, Mountain Mama TMR. Bookmark the permalink. When did autism drastically hit the USA? When the boys came home from Viet Nam. Has anyone done any research on the parents being exposed to agent orange or the parents using marijuana at the time of conception?? 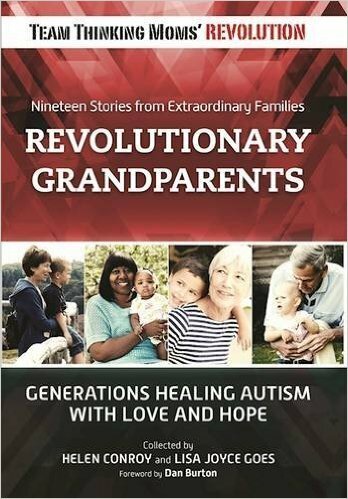 One of my grandsons, the first one, has autism. All of the things you listed that you think gave your son are NONE of the things my daughter had during her pregnancy and things she never gave to her son. His symptoms showed up 2 days after he was born. He is now 8, brilliant, and still has autism and still has not had any of the things you listed. She was very health conscious and did not even eat fish while pregnant because of the mercury. She also has no dental fillings (usually mercury based). So my belief is that it is the environment that triggers this switch up in the genes. Blessings to you and your beautiful son. Stop beating yourself up over something you could never know to control. 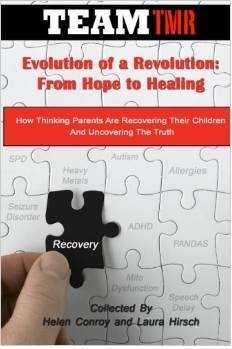 I have read recently that a mother whose Dr. theorized that her sons severe autism was caused by a specific type of bacterial infection in his gut. After antibiotic treatment of a specific nature, his autism vanished and has never come back. That may help you out. It is so good to read this even a year late. I have tried this at a local school this year for summer camp. My son has not lost his diagnosis but I am always being told he doesn’t seem like he has autism. I only told the camp of the ADHD and language disorders, not the Asd. I have put on a thick skin and am waiting for the remark. Not sure I will have the courage to do what you did as I kind of feel guilty that I may have set up a bad situation not giving the camp all the information about his situation. Thanks, Mountain Mama, for this story. I am so glad you didn’t just overlook the instructor’s initial comment. I am inspired how you acted . . . and look at the result! Beautiful piece, Cam. So glad David showed up. You are right in that it can be so discouraging when people do not take the time to understand and explore ways to connect with these children. As the step-mom of a young man diagnosed with Asperger’s I can tell you it is totally worth the effort to get to know each child individually and see them reach new potentials. I want a “David” too! Thank you for sharing part of your story!! So happy for your boy that’s he’s getting positive attention and support! Isn’t it a breath of fresh air!!?? We’ve had 2 new therapists this summer and they are like David…so into Patrick that sometimes I wonder what else they think about! It’s AMAZING. I feel one of the knots in my stomach has released a little. Yeah for us! This blog- ALL of you amazing moms & dad have all be our “david”. Thanks again for yet another wonderful morning read. Thank you. The Autism community is full of angels. Thank you. This experience really has been a blessing for us. My child has gained so much from martial arts! It took him 18 months to get his first belt STRIPE, but he persevered. He is now a third degree black belt in Tae Kwon Do. For the social skills, have you considered putting him in theater classes? Think about it–theater teaches…social skills: appropriate dialogue, facial expression, vocal expression/intonation/dynamics, body language, physical interaction (“blocking”), etc. I have been absolutely floored at both the teachers and the neurotypical students in the theater classes my son has attended. They have been the kindest and most supportive people I have ever met. Theater, along with instrumental music instruction (particularly Suzuki violin), is also the world’s best answer to OCD. Practice involves repetition! Music instruction (singing, and, again Suzuki violin) is the world’s best auditory processing therapy! Be careful, though, of teachers who use Suzuki books to teach, but have no training in the actual method, as the METHOD is what is so perfect for our kids. There are many lights, even before we get to the end of the tunnel. Thank you so much for reading and your suggestions. We are pretty limited in terms of opportunities where we live. I am talking to our Creative Arts Center about trying to start a children’s theater group. Great minds think alike! It really is wonderful when you know people care and you can make lasting relationships. So glad you have had good experiences too. Beautiful story! There are “David’s” out there, we just need to find them. Thanks for sharing. We must NEVER give up on these kids. We need to try as hard as they do even though at times it looks like they are not there. THEY ARE!!! Amen, Mary. Never give up hope – EVER.